The Tullamore & District Chamber Members BBQ is held on an annual basis and is exclusive to Chamber members. 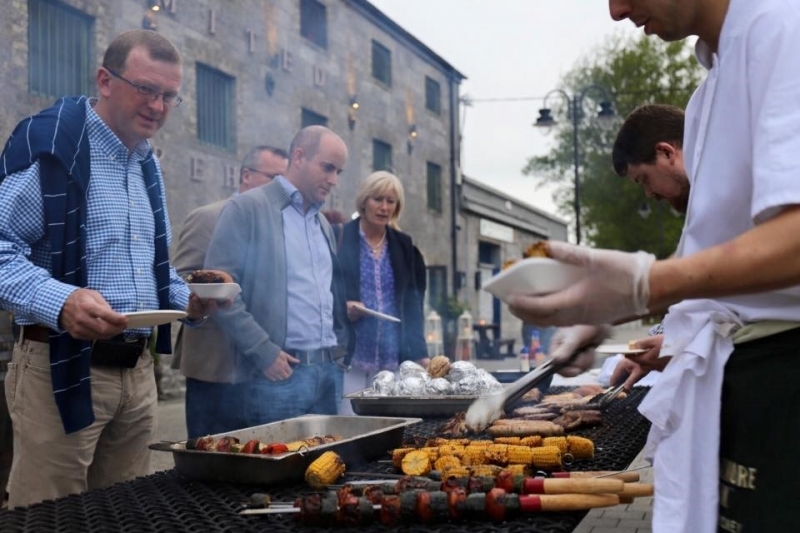 This years 5th Annual BBQ which takes place on the 14th of July 2018 in the Tullamore DEW Visitor's Centre has been a sizzling success for the past 4 years. It's a great way for business people to meet and network in a more laid back environment. Chamber members will savour the fine food that local businesses have to offer while at the same time enjoy a glass of the popular "Apple DEW" cocktail. A night not to be missed!